China Times: What direction for petrochemical industry? Premier Jiang Yi-huah and Kaohsiung Mayor Chen Chu met last Friday to discuss how to deal with the disaster caused by a series of explosions in the southern Taiwan port city. 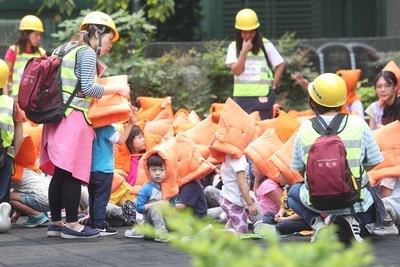 However, they agreed to put aside a decision on whether to relocate the petrochemical pipelines in downtown Kaohsiung that are to blame for the explosions and whether to set up an exclusive petrochemical industrial park to house the factories involved in the city's petrochemical industry. The petrochemical industry, with an output of NT$1.92 trillion (US$64.02) in 2013, made up 13.8 percent of the country's industrial output that year, and its related industries posted an output of NT$7.29 trillion and employed 300,000 workers. But this industry has been limited in development recently because of the difficulty in obtaining land and the opposition of environmental activists and local governments. And as if this is not bad enough, the industry is facing increasing competition from overseas after the U.S. has made breakthroughs in extracting oil from oil shale and China has come a long way in producing gas from coal. Furthermore, the Chinese petrochemical industry is developing rapidly, and threatens to replace its Taiwanese counterpart. According to government statistics, Taiwan's purified terephthalic acid (PTA) exports stood at NT$108.1 billion and was the 10th-largest export product in 2011, which shrank by 80 percent to NT$15.9 billon in 2013. The government should take these factors into account when deciding where the industry should go.